One of competitive esports' greatest moments had new footage surface this week as a new upload of the famous Daigo Parry hit the internet. While most fans of competitive esports are very familiar with the video from EVO 2004 depicting a timely parry in Street Fighter III: Third Strike, they may have only seen the version prepared by EVO ring announcer Ben Cureton. A new video showing off the epic moment hit the internet this week, giving fans an alternate look at the legendary semifinal round comeback. Known to the community as “EVO Moment #37”, the portion of a semifinal match between Daigo Umehara and Justin Wong, both legends of competitive fighting games, remains popular online nearly fifteen years since it happened. The iconic moment is bolstered by the explosion of applause from those in attendance at the tournament. Nearing the end of their Match 1 confrontation, Wong’s Chun Li had methodically pushed around Umehara’s Ken, appearing to have full control of the final round. Umehara was down to a single sliver of life remaining, making him vulnerable to any special attack in the game. In Street Fighter 3: Third Strike, player can choose to block special attacks, but doing so eats a small portion of their life bar, so blocking any incoming moves was not an option for Umehara. 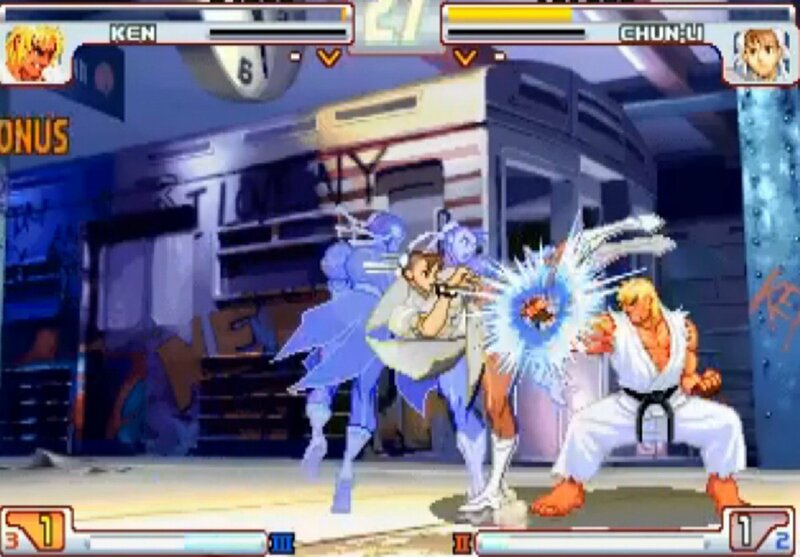 Wong opted to end the round by performing one of Chun Li’s Super Art moves, which would most likely finish off Umehara’s Ken. Rather than attempting to block or avoid the move, Umehara made the incredibly risky decision to parry the incoming flurry of attacks. Parrying in Street Fighter 3 is a high-risk, high-reward tactic that allows a fighter to absorb a hit without taking damage, but requires a player input towards the attacker, rather than the reflexive backwards blocking command. The input for a single parry has a window of around seven hundredths of a second, offering the absolute tightest of windows. Umehara went on to parry all 15 hits of the Super Art attack and then followed the string up with an air counter of Chun Li’s final kick. Following this insane display of timing and skill, Umehara then hit a vulnerable Wong with one of Ken’s special moves, resulting in an incredibly improbable victory. Only a few parries of Wong’s Super Art had occurred before the crowd in attendance were sent into a frenzy, realizing that Umehara was in the process of making an unthinkable comeback. The clip of the moment is quite often a competitive fighting game fans first entry into the sport, and remains a favorite all these years later. The famous EVO moment is partially responsible for putting the competitive fighting game scene in front of millions of viewers. Awesome. Love the alternate view. That video gets me hyped every time.